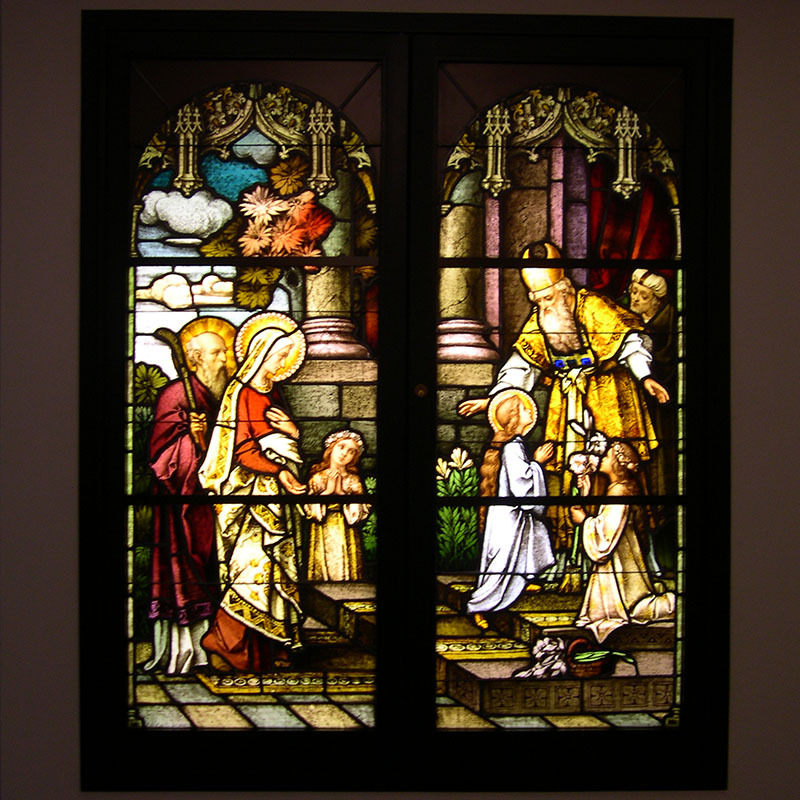 Light Boxes by The Baut Studios, Inc. 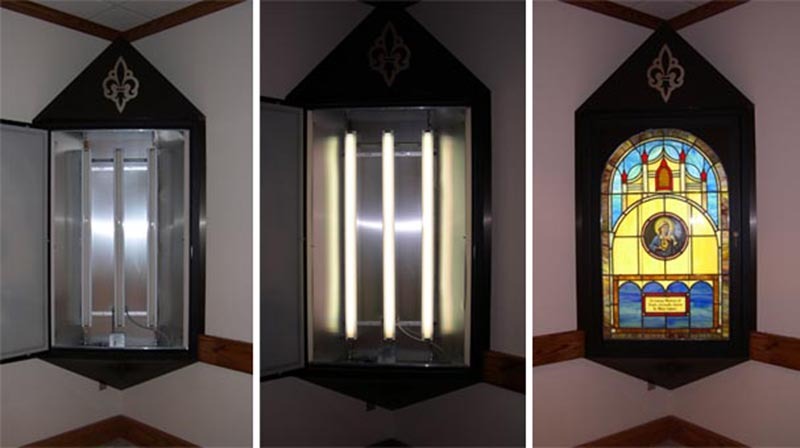 These Light Boxes are user friendly with easy bulb access. 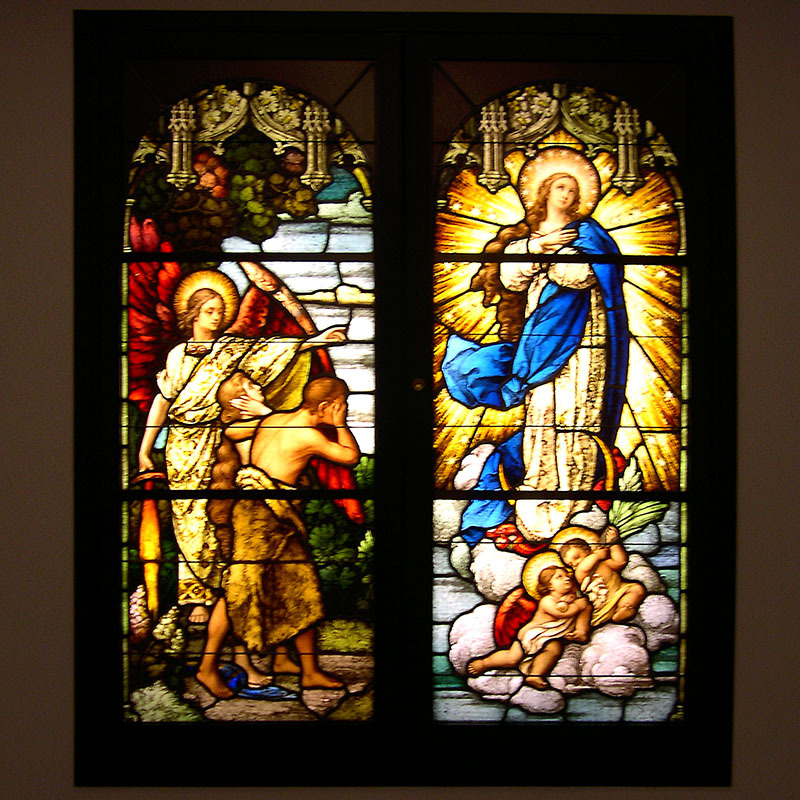 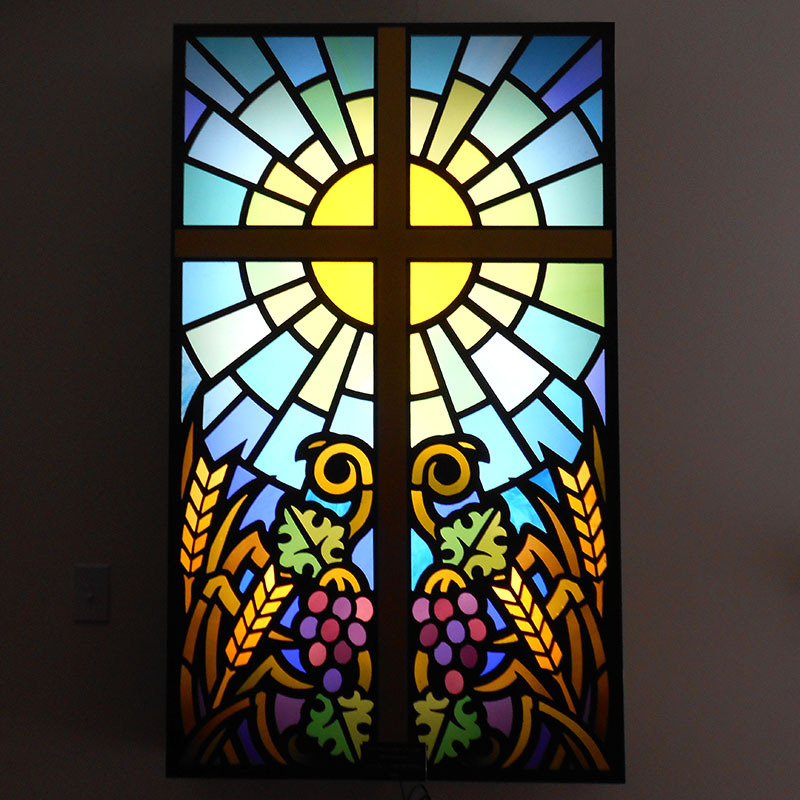 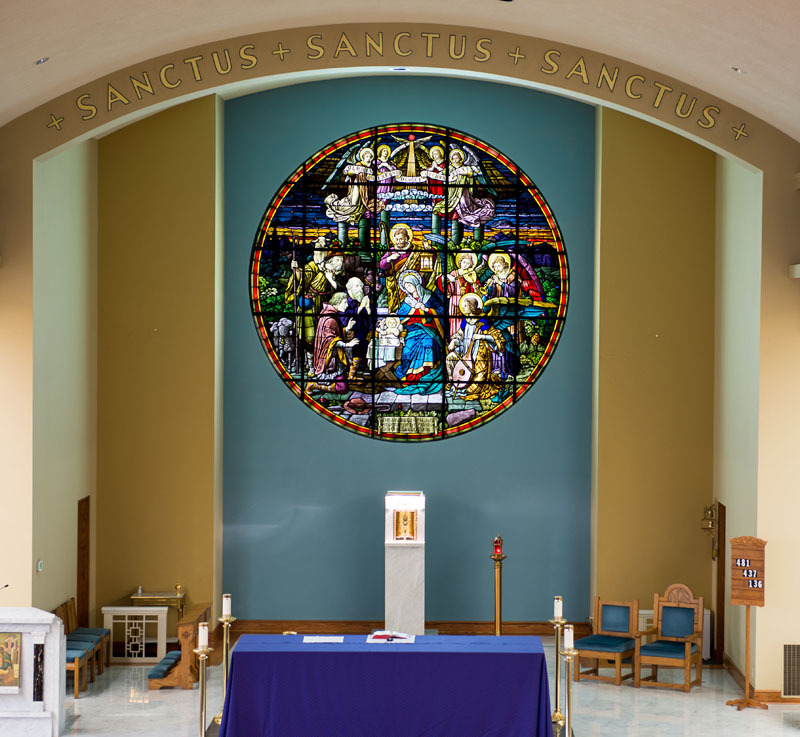 Stained glass windows from closed churches make beautiful light boxes on interior walls.